Please arrive at the meeting place a MINIMUM OF 10 MINUTES before the start of the tour. Single Tours : A minimum of 4 tour participants is required for each tour. If there are fewer than 4 participants, the tour will be canceled. Up to the tour start time, please notify Les Visites de la Luciole regarding cancelations by calling +33 (0)6 59 07 10 87. Special Tours : Visits to temporary exhibits or special events may be added to regular tours. The number of participants may therefore be limited for each tour and there may be a waiting list. Disclaimers : Tours canceled for reasons beyond our control (unexpected monument closures, public events, etc.) will not be reimbursed. La Luciole does not take responsibility for canceled visits due to reasons beyond our control. If you need to cancel a tour, PLEASE NOTIFY US A MINIMUM OF 24 HOURS BEFORE THE START TIME. Please don’t take someone else’s spot if you can’t come on the tour. Keep in mind that there is often a waiting list. The price of a single tour is 12 euros, to be paid directly to the guide at the start of the tour. 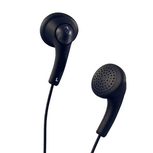 (article L 441-6, al 8 of the Commerce Code as revised by Law Number 2008-776 of August 4, 2008). Except in extreme weather conditions, all tours held outside will take place according to schedule. Tour participants are responsible for their own civil liability in the event of an accident. Les Visites de La Luciole recommends that participants on Cyclo-Tours purchase their own insurance before the tour. 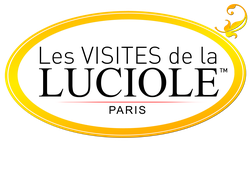 LES VISITES DE LA LUCIOLE REFUSES ALL RESPONSIBILITY IN THE EVENT OF AN ACCIDENT WHEN TOURS ARE TAKING PLACE.